Easter is celebrated throughout the globe by almost a quarter of the world’s population. It’s a time for feasting, breaking the six-week fast of Lent. Discover some of the ways Easter is observed with traditional foods from Spain, Russia, Italy, and Scotland and find inspiration for your own holiday table. The The Oxford Companion to Food offers a sweeping overview of Easter foods eaten in Europe. It highlights lamb’s significance on Easter menus owing to its seasonal availability and also because of its symbolic significance within Christianity. 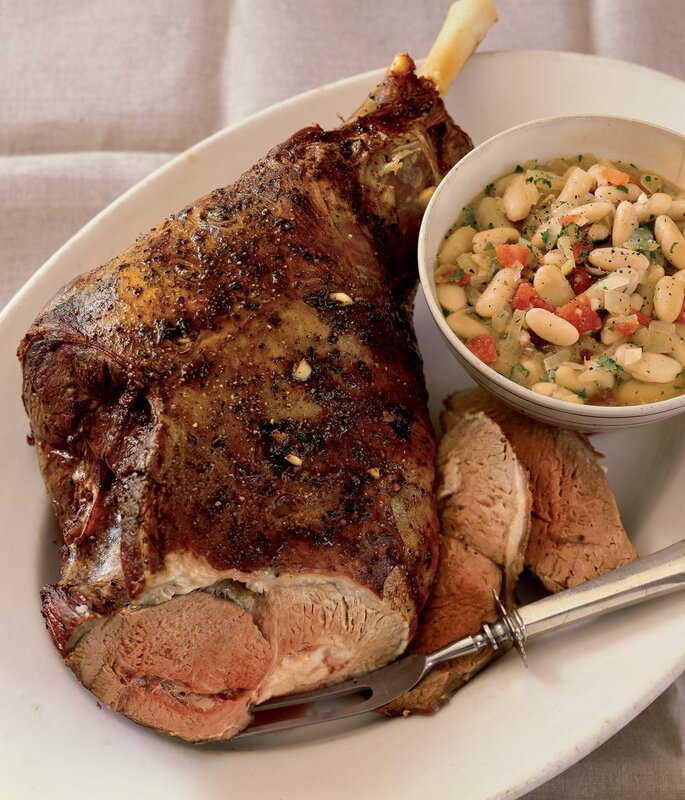 Browse our Take a Leg of Lamb collection for international idea for your meal’s centerpiece. In Movida by Frank Camorra and Richard Cornish we learn that in Spain Easter is a time to eat cod. Camorra transports us to his childhood in the Basque region of Northern Spain with a recipe for Buñuelos de Bacalao (Salt Cod and Potato Fritters), a taste memory that reconnects him to his Spanish roots. In A Taste of Russia, Darra Goldstein tells us Easter is, “by far the most important holiday in the Russian Orthodox Church is Easter.” On Easter-eve Babushki bring baskets of Easter food to the cathedral to be blessed before eating, including the two most symbolic Easter dishes: the pashka, a traditional cheesecake made into a pyramid-shape, and the kulich a tall saffron-scented bread. Easter dishes vary greatly between Italy’s diverse regions. In Great Italian Desserts baker Nick Malgieri shares one of Italy’s most famous Easter pastries, the Colomba Pasquale. Colomba cake, or Easter dove cake, is an Italian yeast dough made into the shape of a dove as a symbol of the Resurrection. Christian and pagan traditions collide in Scotland's celebration of Easter and spring. Author Catherine Brown walks readers through the evolution of the holiday in A Year in Scots Kitchen and shares a recipe for Easter Tree Cake.